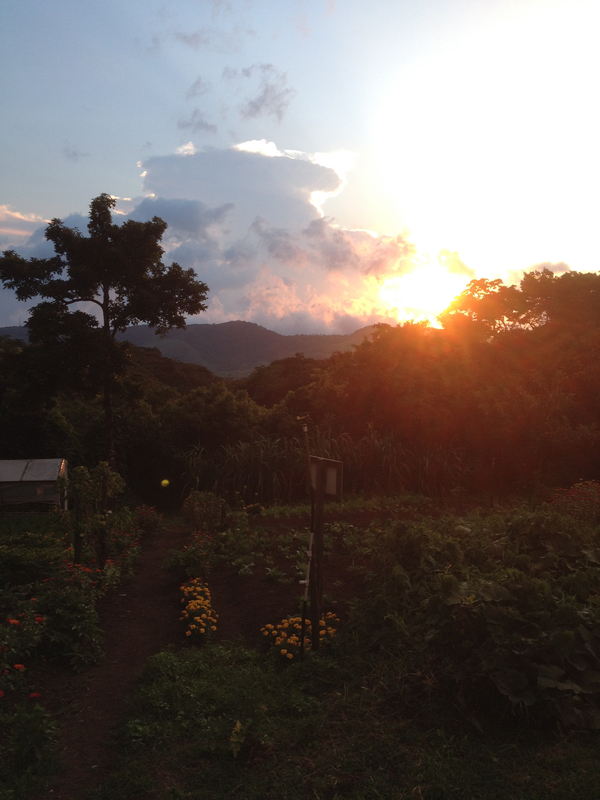 My name is Evan Senie and I’m the Sustainable Agriculture Intern at UGA Costa Rica. I’ll be doing some blogging focusing on my work at the farm. The farm here at UGACR is organic, and the food produced is used to feed the volunteers, students, and tourists who stay at the facility. We use terraced beds on the farm, due to the relatively steep grade and the fact that during the rainy season there is significant water flow down the farm. 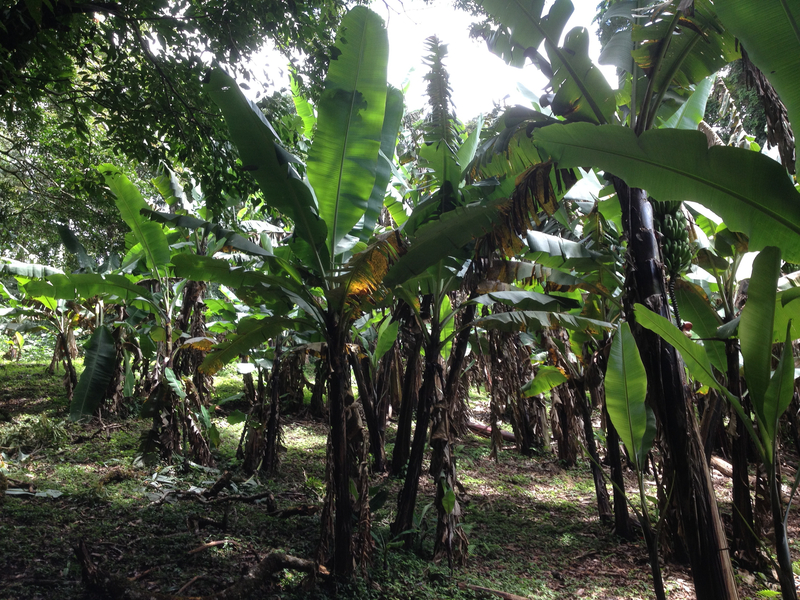 There are many crops on the farm but the first one I’ll mention for now are the bananas. There are actually three things that grow from similar looking trees but I’ll cover them in another post. This plantation is behind the farm and we harvest these every couple of weeks. For those of you who don’t know, this is how bananas grow. There is a large flower that hangs down and then extends upward in bunches. Once they’re ready we get to chop the entire tree down with a machete, which is awesome. If you’re not good at it (I am not good at it), it is possible to chop the tree in such a way that it crushes the bananas, rendering the entire exercise useless. Assuming we avoid this unfortunate outcome, the bananas go into this bucket to ripen for a few days before we bring them to the kitchen. 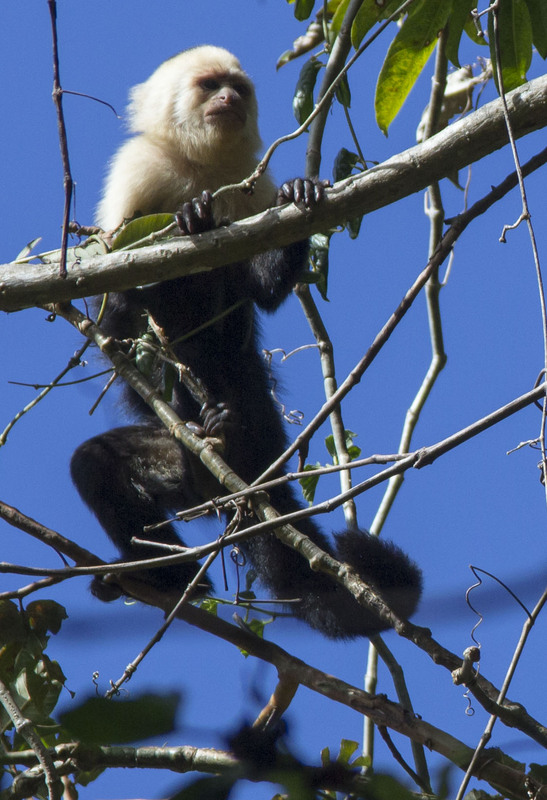 We have to put a top on the bucket because of the monkeys and the pizotes, or coatis. The monkeys seem cute but they’re actually thieves. To wrap up, here’s a sunset picture from the farm. It’s got a nice view out to the west over the mountains. Part two of the overview will look at some more of our crops, composting, and our chickens.